The International Six Days Enduro, the world’s largest enduro race competition, is one of the most grueling races in the world, consisting of six consecutive days and covering over 1,000 off-road kilometers. Obviously, this race isn’t for the weak of heart. 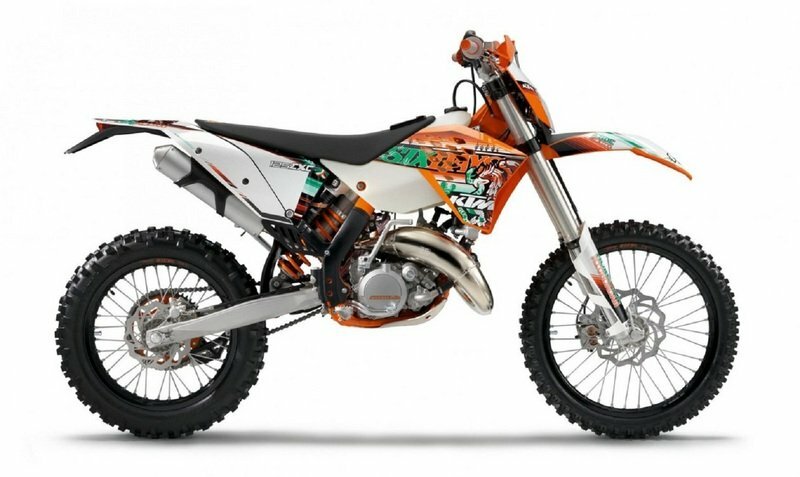 So when you need a bike that can tackle the road and face this grueling competition with you, KTM’s line of EXC Six Days enduro bikes are a great choice. For the entry level riders, the 125 EXC Six Days offers a whole package of high-quality special options, making it a seamless bike to use in this kind of competition. In fact, it’s already used by more than half of the competing riders every year. In terms of its design, the 125 EXC Six Days carries plenty of unique accessories used exclusively for competition. Chief among them are a Camel SXS seat for improved long-distance comfort, an engine guard made of high-strength plastic for protecting engine case and frame down tubes, carbon exhaust protectors, CNC-machined, orange-anodized triple clamps for high-precision clamping of the fork tubes in favour of optimum sliding of the telescopic fork, and a knock-out wheel spindle for easier removal of the front wheel. 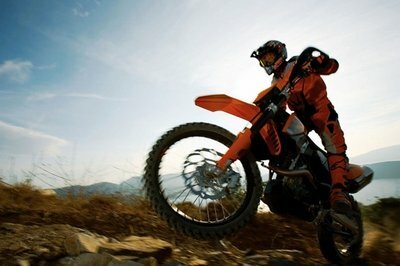 The 125 EXC is also equipped with the latest WP upside-down fork with wider adjustment ranges and a new setting. The sensitive responsiveness and outstanding damping of the open-cartridge fork with 48 mm (1.89 in) outer tubes are a perfect complement for the 125 EXC’s playful handling and precision. Last, the 125 EXC Six Days has been fitted with a full brake disc at the rear for improved heat resistance and therefore reduced pad wear and a rear brake disc protector for protecting the brake disc from mechanical damage. 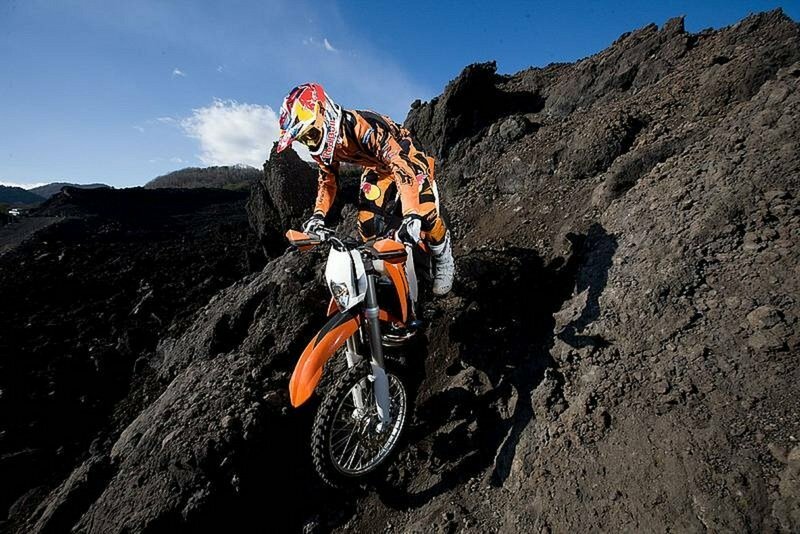 Find out more about the KTM 125 EXC Six Days after the jump. The redesigned airbox on the 125 EXC and the flow-optimized intake flange between the airbox and the carburetor now ensure even better charging with fresh gas. This results in even freer revving and even more power in all rev ranges for the liquid-cooled, two-stroke machine. 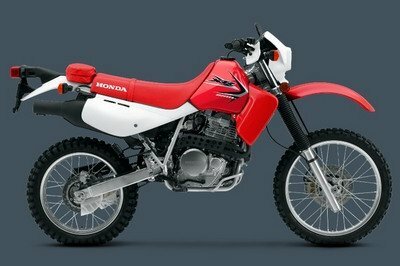 The 125 EXC’s new exhaust expansion chamber has not only improved in quality; in conjunction with the two-stroke machine’s exhaust control system, its optimized soundbox ensures an extra shot of engine power - explosive, but dependable. The completely revamped frame made from high-quality chrome-molybdenum steel is characterized by even greater lateral stiffness. 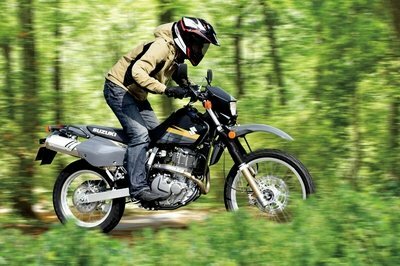 It is also even better at absorbing jolts introduced by the suspension system, whereby the playful handling and comfort of the 125 EXC have been further optimized. 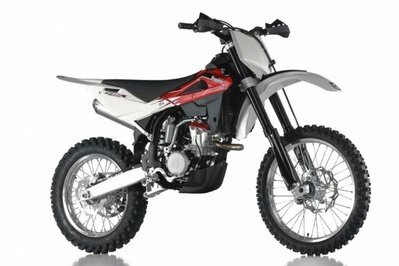 The 125 EXC’s new, lighter, cast aluminum swingarm accommodates the shock absorber more centrally, in order to load the swing arms more evenly. The new, 7 mm (0.28 in) longer PDS shock absorber with adjustable rebound and high/low-speed compression damping, and a new setting is installed more flatly, so providing even more progression. The 125 EXC’s new bodywork with the very slim seat and spoiler lines, plus excellent contact points, perfects the bike’s ergonomics, making handling even simpler and more precise. The longer rear fender protects the rider and the redesigned kickstarter makes it easier to start the engine. Wheels with black-anodized, extremely robust Giant rims and spokes with a high-quality, black tin-nickel coating. 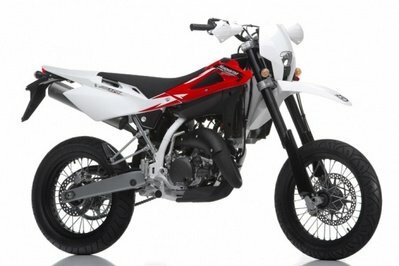 Total Motorcycle----"The ideal combination of the playful handling of a 125 and the engine power of a 250cc enduro. A special bike that is not built for a specific Enduro World Championship class, but for all those who want to break fee from the competitive class-based society and who are looking for nothing more than fun, rideability, perfect ergonomics and reasonable costs. With even more performance than before and a completely revamped chassis, the 250 EXC Six Days satisfies these requirements even better than ever."